Just a quick post with a few cards to share.I apologize for the shortness but my little guy had a rough night, he woke up coughing and crying at 3am and I never really got back to sleep. I'm feeling a bit woozy right about now. The first card I want to share is one that started as an idea that was dancing around in my head all day yesterday. I managed to put it together before I picked up my little guy from school. I was so happy that I was able to incorporate my idea to fit the 2S4U sketch of the week, just when I thought I would never find the time to fit in a challenge. 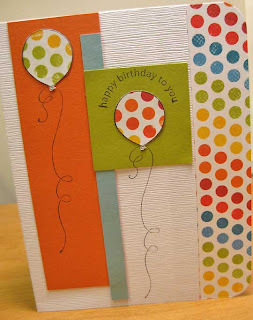 I've been having so much fun playing with We R Memory Keepers White Out line of paper and it's perfect for fun birthday cards. The final card is one I made as a special request. 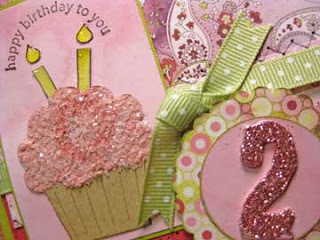 I really had fun with it--I got all my pretty girly girl paper and glitter out! I even customized the envelope--I couldn't stop myself. 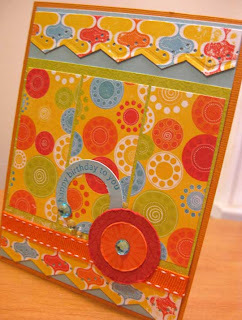 I'm also currently obsessed with textured card stock-- it's just luscious! 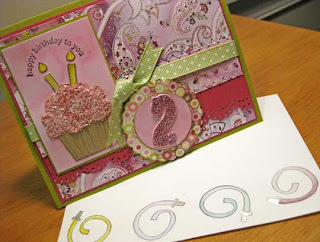 I used Bazzil and Stampin 'Up textured card stock on all three of these cards. I just can't get enough of it! love all your cards! fabulous! hope you and your little one get a little sleep today! Tina, I loved the card, I just want to keep it for myself. Wow, lots of gorgeous stuff here!! The colors are just wonderful! I hope thins are better there. Take care!! they are all so fabulous!